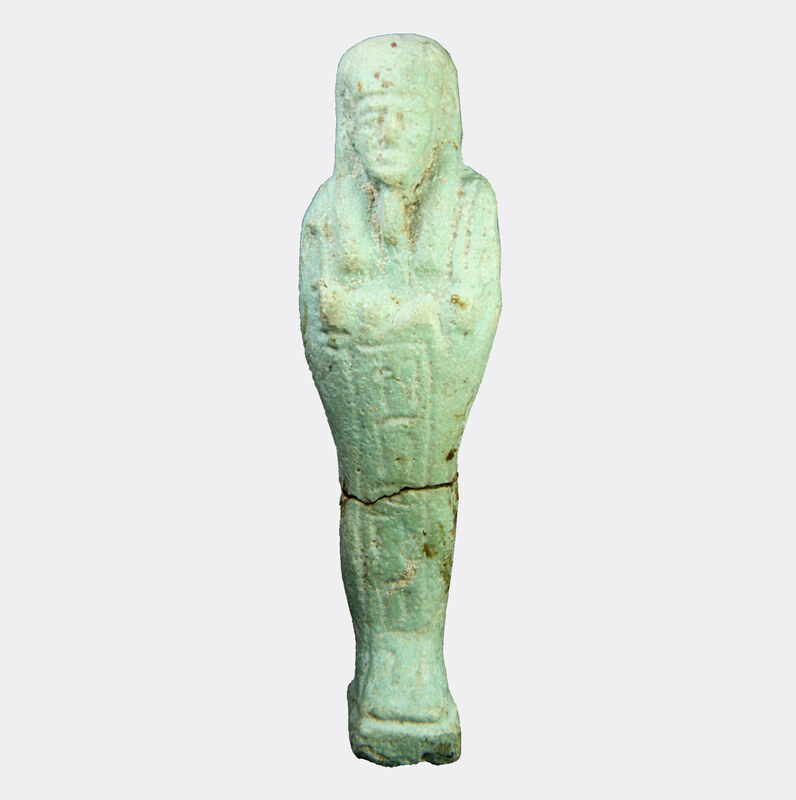 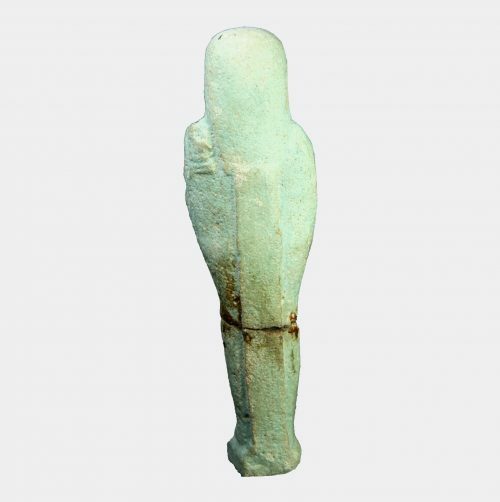 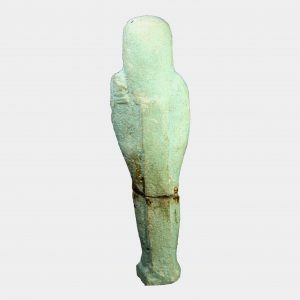 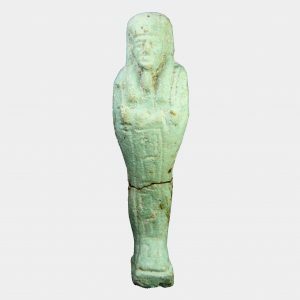 A pale green/blue glazed faience shabti figure with an indistinct moulded inscription which is usually read as belonging to Nes-Min. Ex. 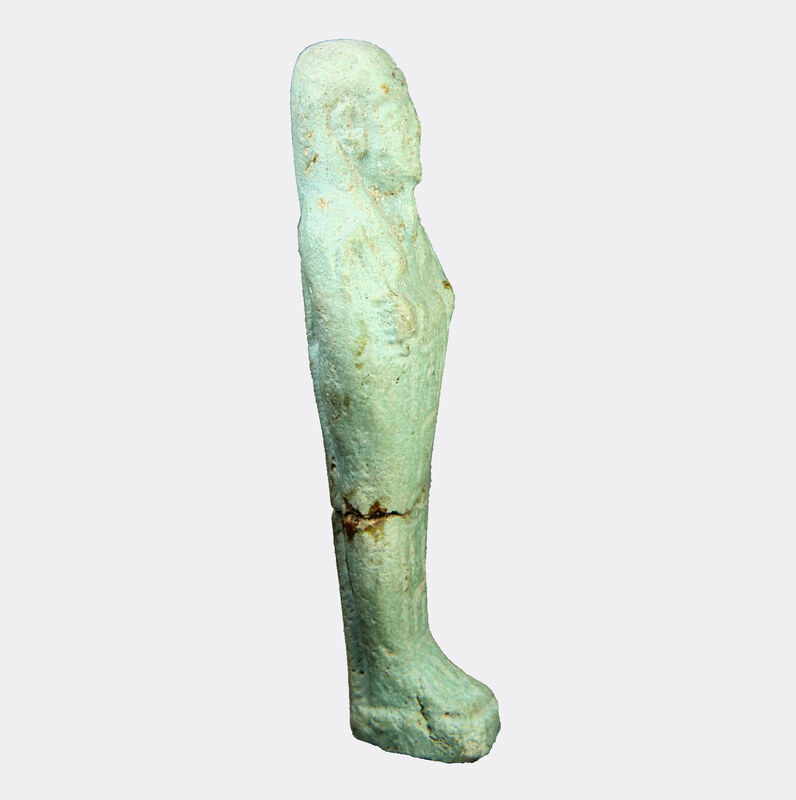 private collection, Gloucestershire, UK. 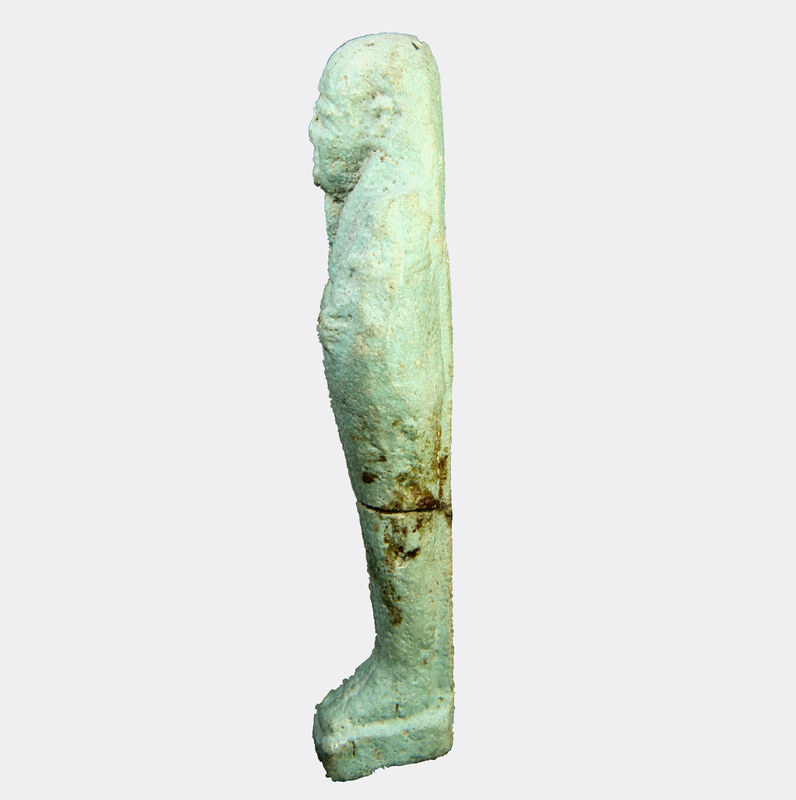 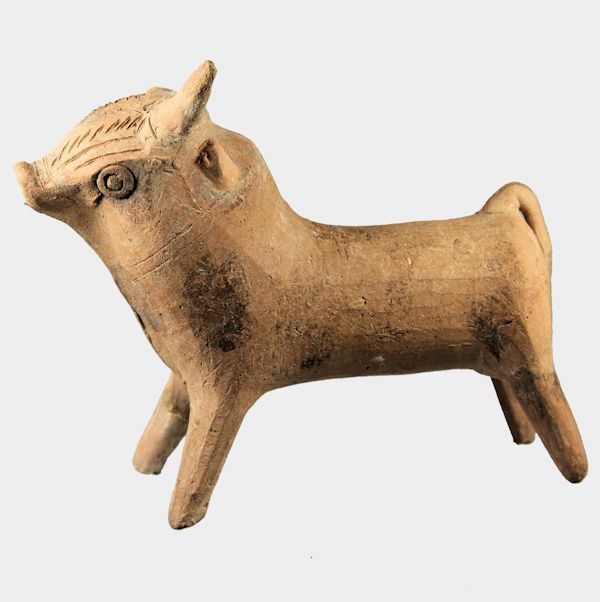 Probably found in Saqqara during the 1940’s.